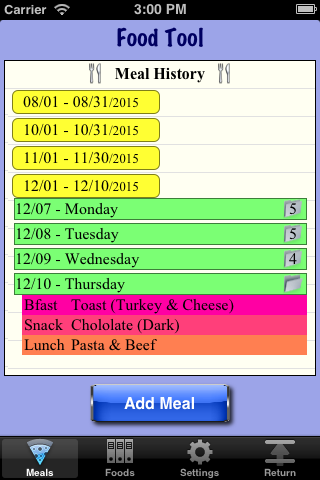 With the "Food Tool" you can enter your Meal History (Meal Log - the foods that you ate at each meal) to keep track of your diet or your nutrition program. "Meals": Main screen with your Meal History. From here you can add your past meals using the "Add Meal" screen. 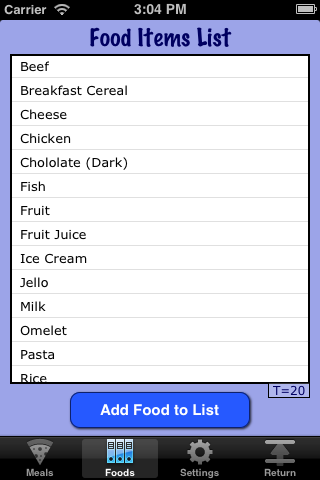 "Foods": The list of your Food Items. 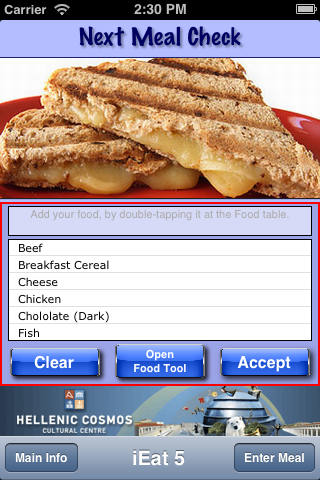 Every time you enter a Meal, if the items of that meal are not in the Food Item Table, they will be automatically added. 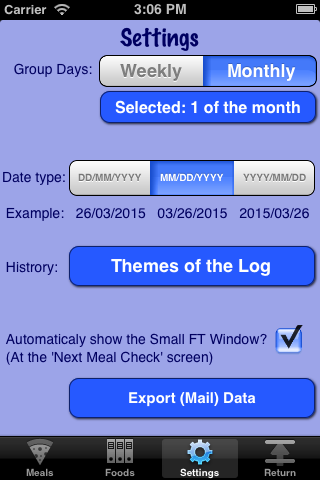 "Settings": Here you can set various parameters of the "Food Tool": The day or date you want to group the Meal History (each group will become a collapsible button in the Meal Log), the Date Format, the Colors of the Log (the User Interface colors are the same as in the BWM tool - you can change them from there) and if you want the "Small FT Window" to appear automatically when you enter the 'Next Meal Check' screen. You can also send your Meal Log via email. If you select to auto-show the "Small FT Window" this will help you with the process of adding your Meal, by having the interface there each time you go to enter the relevant meal. You can open the "Food Tool", either from the "Small Food Tool Window", or from the "Utilities & Tips" screen ([Shortcuts] button).